December | 2017 | Phil – Refuelled! 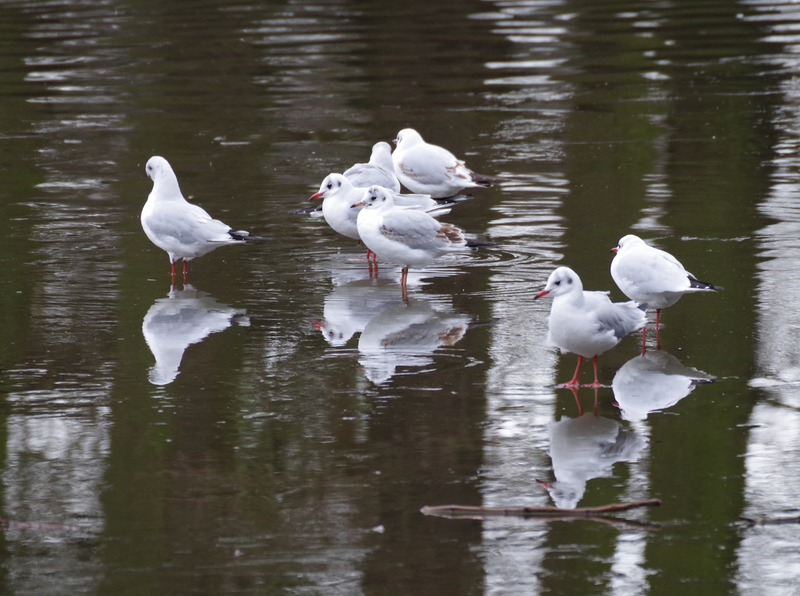 I saw these water birds yesterday afternoon (Saturday) on the lake at Wollaton Park, Nottingham – one of my favourite haunts, as some of you know. I think they are quite young seagulls who are finding the winter coastal weather a bit rough, but I’m not exactly sure what kind they are. If anyone can enlighten me, I shall be delighted! It’s Christmas Eve – and the weather is absurdly warm! No chance of delicate fragments of crystallised water falling from the sky. 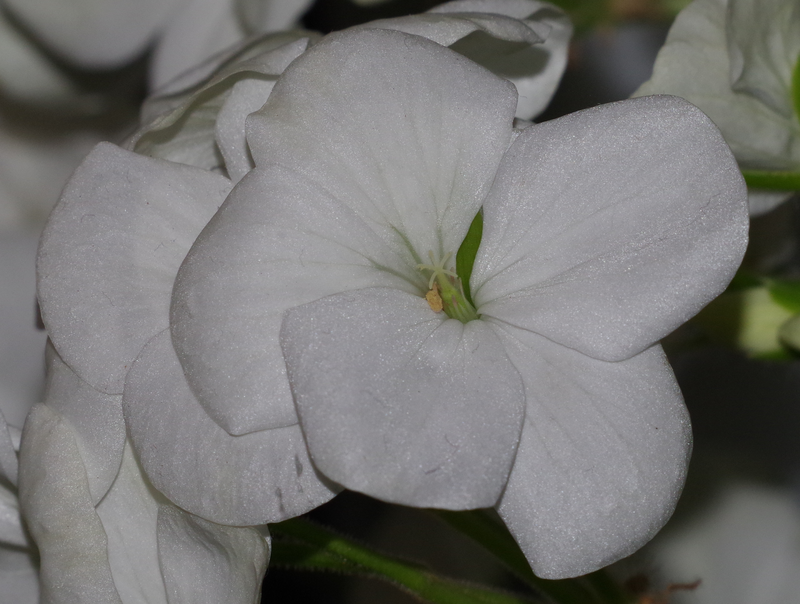 I just thought the colour and texture of this white pelargonium might be a little bit suitably seasonal! I love using macro photography to see the wonder of plant life, though – at any time of year! 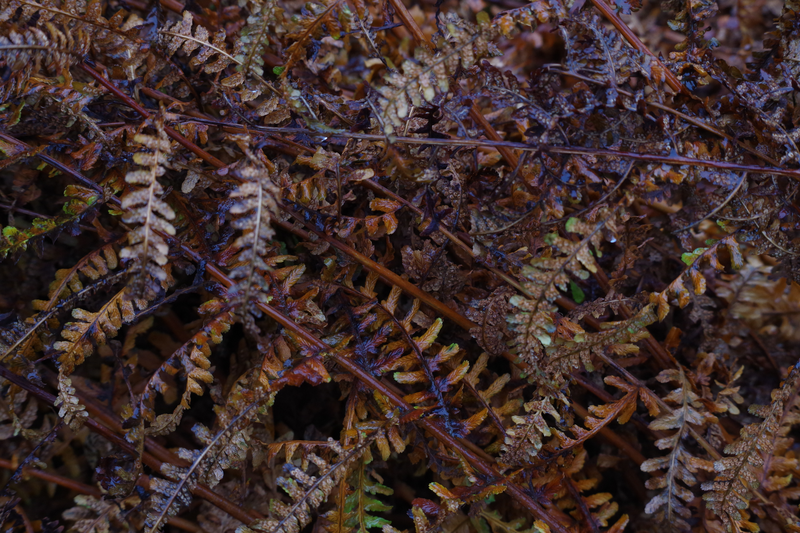 I found this bracken earlier today, and thought, at first, what a powerful single-colour study it made. Looking more closely, however, I saw that it wasn’t entirely brown; here and there were several intriguing little green shoots. I thought this was surprising, considering the recent very cold weather. The water droplets you can see are from frost that is only just melting! 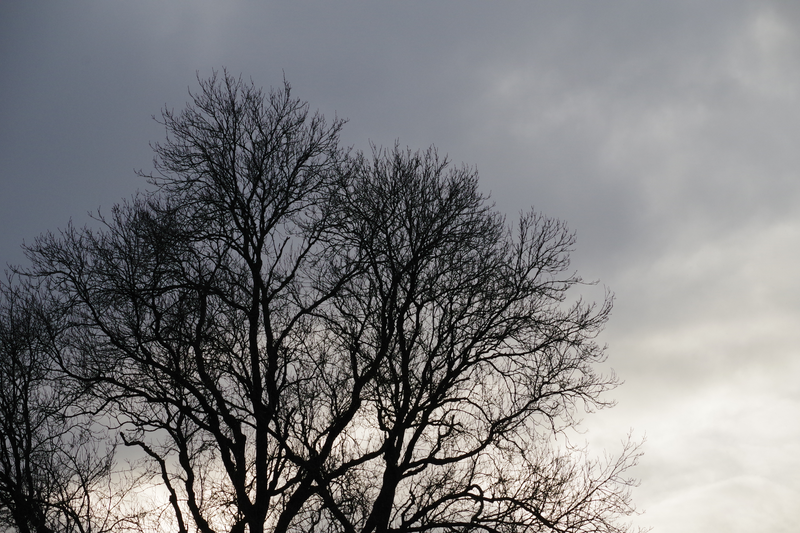 I always think there’s something hauntingly beautiful about trees in winter. I’ve left this shot in colour, but it’s almost black and white. The skyscape seemed to be a fitting herald for the forecast snow. I wonder how many snowstorms that tree has faced? December again, already…! I noticed how much of this there was in an old apple tree I have. 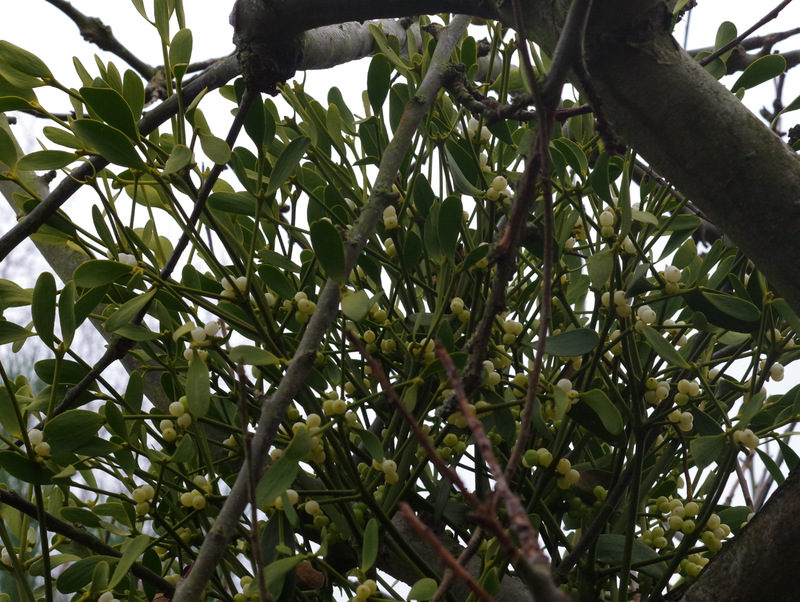 Somehow, it’s strange to think of mistletoe as a parasitic plant; there’s no such thing as a mistletoe tree! Until fairly recently, mistletoe was considered to be little more than a pest that damaged the host tree (other than its links with Christmas time!) but it does, in fact, make a positive ecological contribution.